Chance will continue to visit Wicklow Dog Pound regularly and photograph and report on the dogs there –where permitted. These photos can then be seen on our page atfacebook.com/ Chance.Wicklow The kill rate at the pound has fallen significantly since Chance got involved – last year 90% of dogs were either rehomed or transferred to rescue. 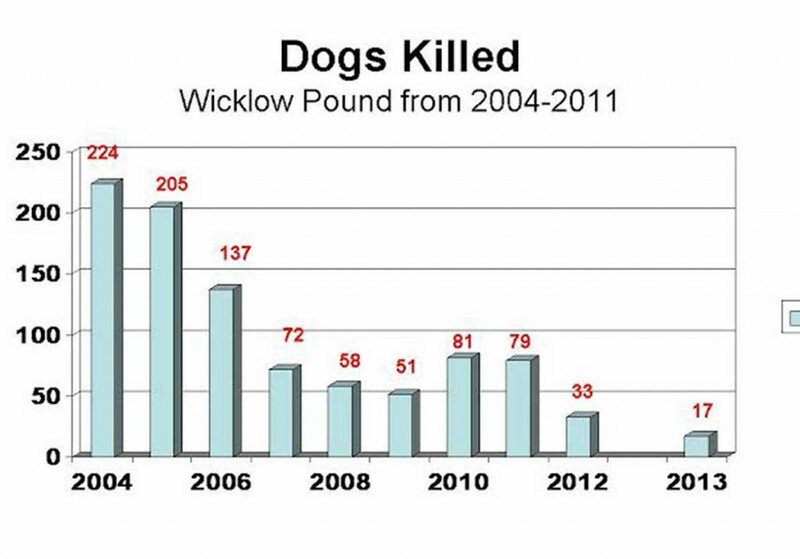 Chance believe there is still much room for improvement in those figures and would like to see a more open and transparent regime in place at Wicklow pound. We will continue to lobby Wicklow County Council to this end. 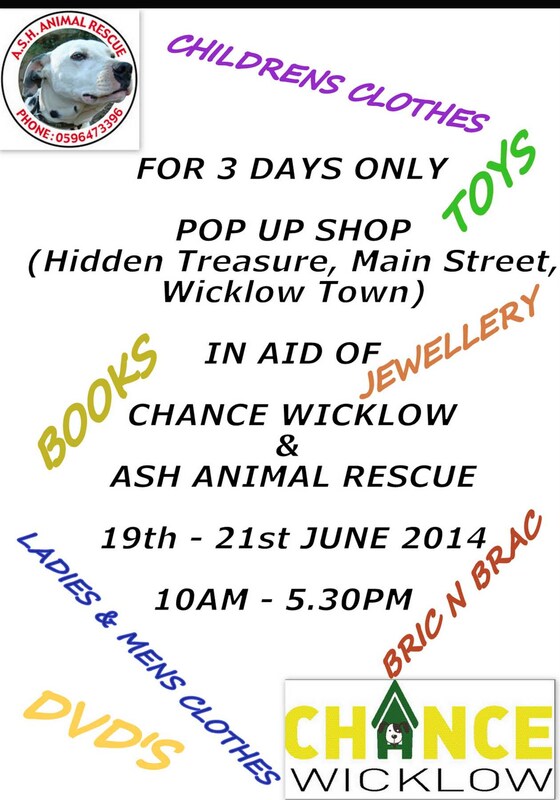 Chance Wicklow and Ash Animal Rescue will shortly be opening a pop up shop in Wicklow Town on June 19th, 20thth and 21th. The shop was formerly known as Hidden Treasures, it is in the Main Street near the post office. We will be selling all manner of things! We look forward to meeting many of our supporters there and are particularly anxious to meet their dogs rehomed from the Wicklow Pound.